The winner of this year’s Readings Young Adult Book Prize is Amelia Westlake by Erin Gough. Amelia Westlake follows the story of Harriet Price (rule-abiding prefect) and Will Everhart (rule- breaking slacker). The two girls strike up an unlikely friendship when they decide to publish a controversial cartoon about a sexist teacher in the school newspaper under the pseudonym Amelia Westlake – an act that leads to further rebellion, and a romantic spark between Harriet and Will. 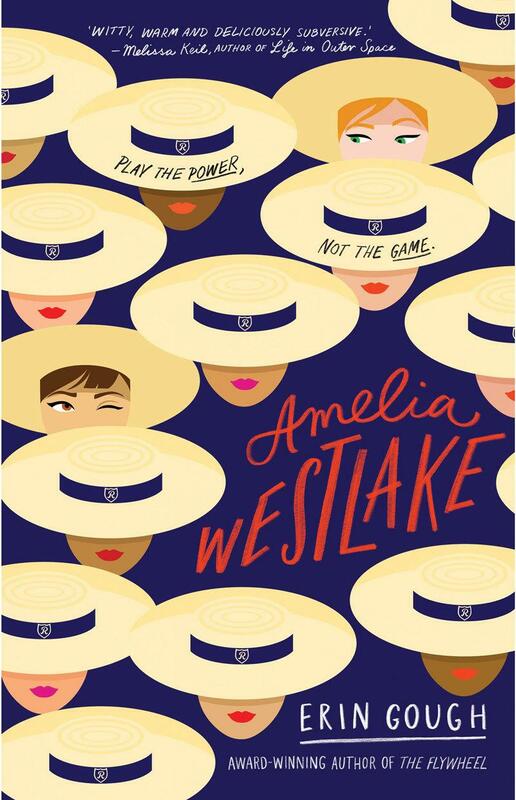 Part queer rom-com, part feminist heist, Amelia Westlake is a joy to read. Amelia Westlake was chosen as the winner by our panel of judges, including Readings YA book specialists Athina Clarke (Readings Malvern), Georgia Delaney (Readings Kids) and Mike Shuttleworth (Readings Hawthorn), as well as Readings marketing manager Nina Kenwood. The judging panel was rounded out by our guest judge, award-winning YA writer Melissa Keil, author of Life in Outer Space, The Incredible Adventures of Cinnamon Girl, and The Secret Science of Magic. The judging panel also received input from the Readings Teen Advisory Board. Reflecting on the judging process, guest judge Melissa Keil said: ‘It was an honour to participate in the judging panel for the 2018 Readings Young Adult Prize – though I was immediately presented with the challenging task of whittling down the wonderful shortlist to just one winner. The six books represent the enormous breadth of Australian young adult writing talent, with a diverse range of genres, themes and writing styles represented – each thoroughly different, but all deserving of an accolade. I hope that the Readings Young Adult Book Prize helps shine a light on these emerging YA voices, and gives all six authors the opportunity to reach a new and wider audience for their work. As winner of the Prize, Gough is awarded $3000. You can find out more about the Readings Young Adult Book Prize here.